Exceptional organic* Chinese green tea. Winner of 3 Gold Stars at the 2015, 2016 & 2017 Great Taste Awards. 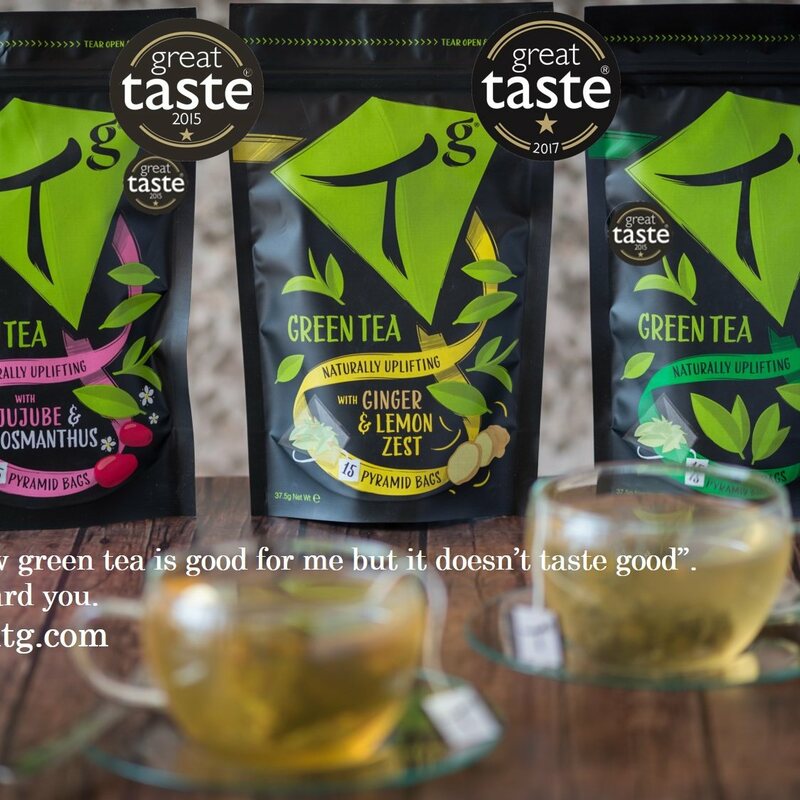 Tg green tea is grown in a special plantation located on the 887m high Dao Ren mountain peak that has been certified as organic since 1995. 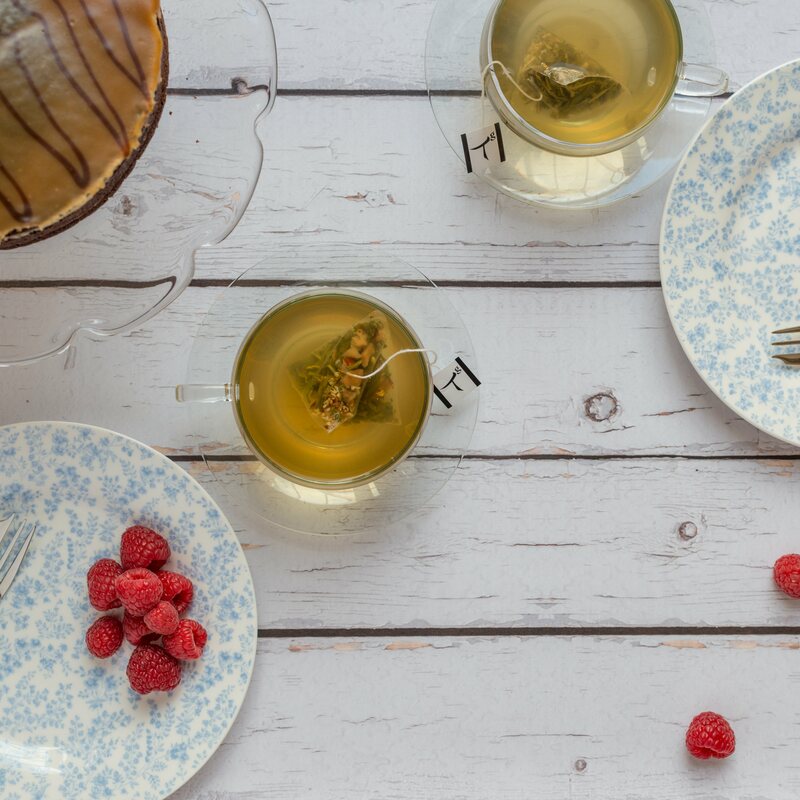 The specific growing location and tea preparation methods handed down since ancient times help to produce a green tea with a delicate taste and soft slightly fruity flavour. It may have been the effect of the Dao priests’ (Taoists) meditating as they cultivated the tea gardens years ago but, whatever the reason, the organic tea used in Tg Green Teas tastes heavenly. 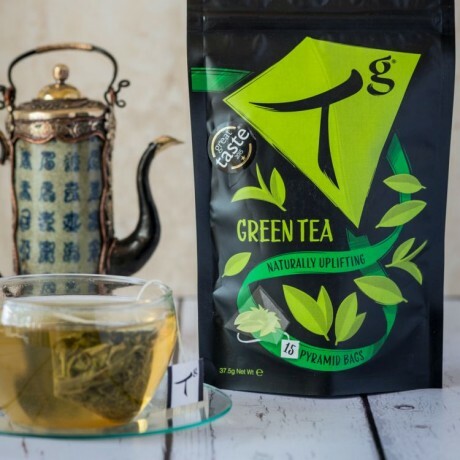 Available to buy as a case of 8 pouches each containing 15 pyramid bags of Organic Green Tea. The tea is packaged in non-transparent resealable standup pouches to help freshness stay in for longer. A generous serving in every pyramid bag which encourages multiple brewing so oozes out every last drop of goodness. No added flavourings for a clean and naturally delicious taste. * Organic certification formally expected in Q4 2017. Organically grown green tea (100%). No added flavourings. Nutritional content [per 100g]: Energy [kcalories] - Nil, Sugar - Nil, Fat - Nil, Carbohydrate - Nil. This product is dispatched by Tg Green Teas. This item has a shipping weight of 530g.